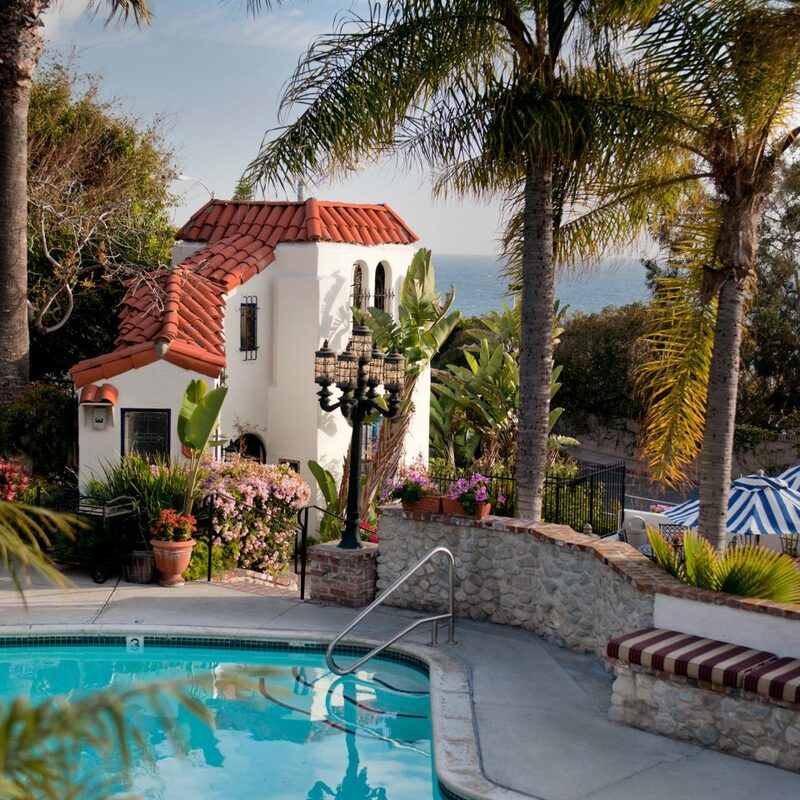 Originally built in the 1920s, the intimate 22-room property charms with the sepia feel of a Spanish posada, from the sunset-viewing tower to the painted tiled floors and stained glass windows. The views of the ocean bring to mind the Costa Brava, especially when viewed from the pool deck or one of the many tiled terraces. 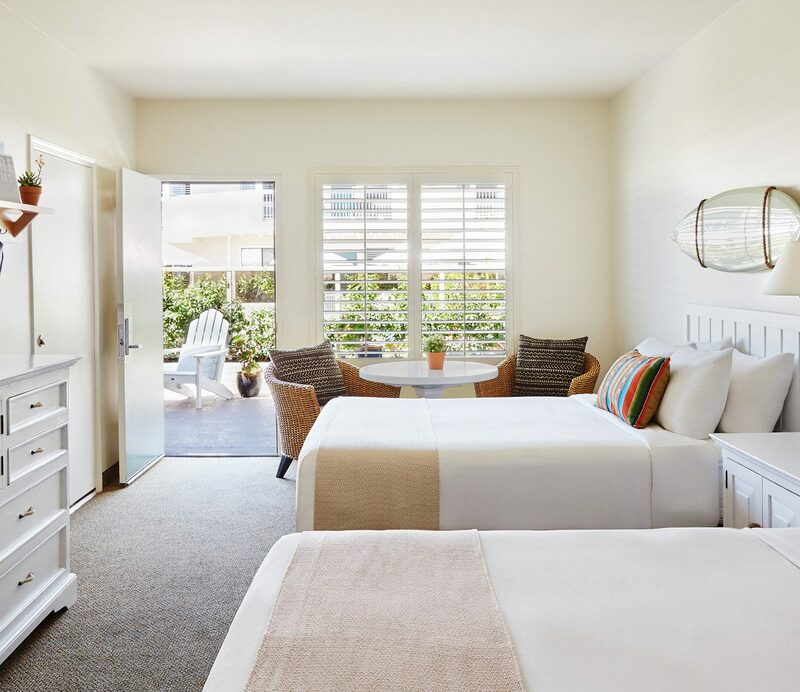 The inn’s multi-level open spaces, lush landscaping and scattered water features provide a serene retreat from the sand and surf. The property’s labyrinthine layout of terraces, staircases and arches ensure that the rooms feel private. Each has its own character, layout, local artists’ works, and a unique feature like a cozy window seat or canvas hammock. 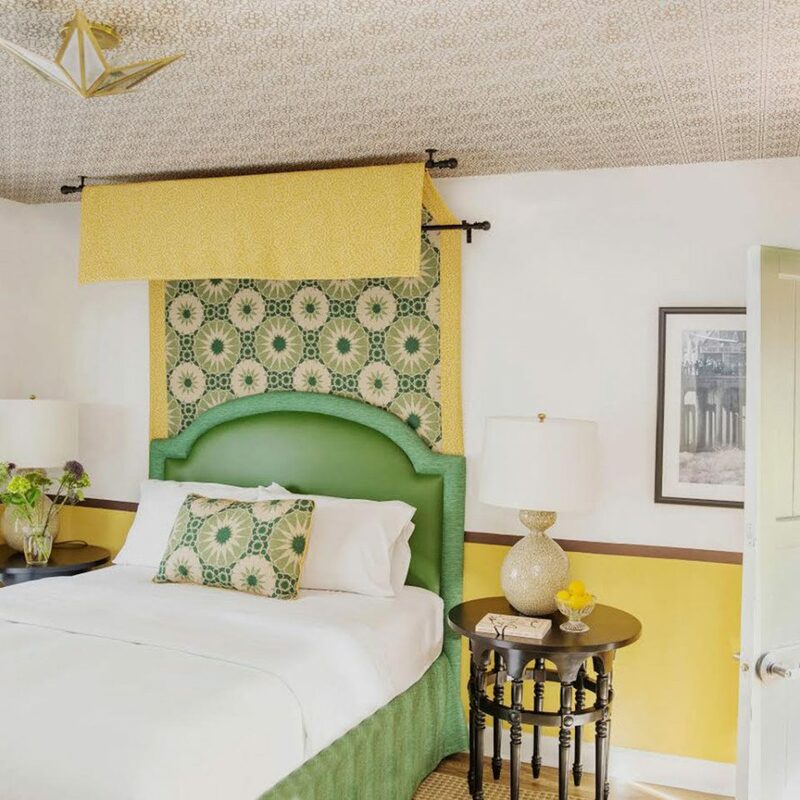 All guests are assured at least 200 square feet of space, Cowshed bath products, and a queen- or king-size bed covered with fine linens. 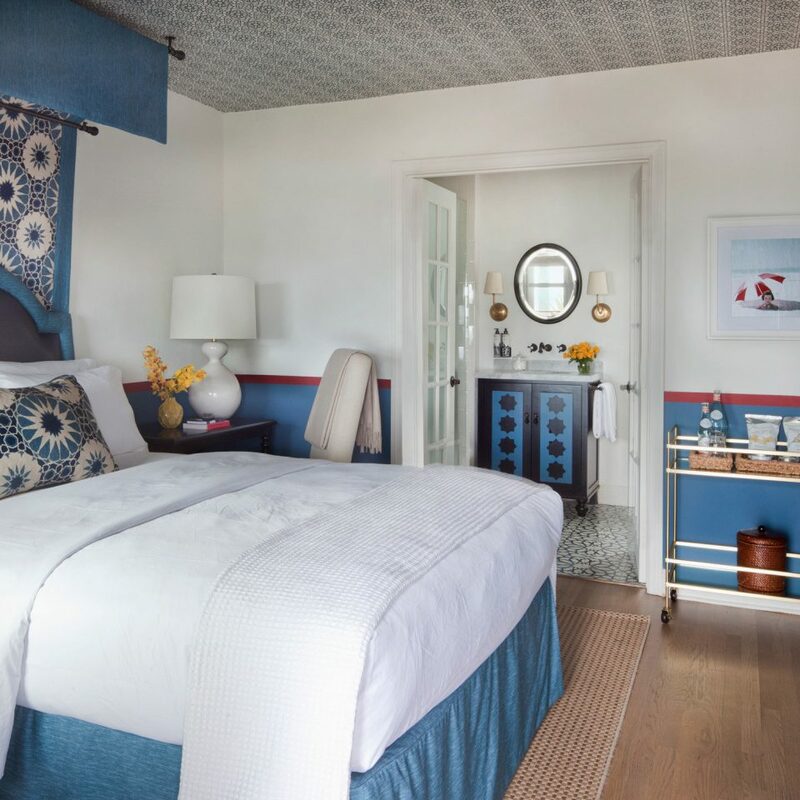 The deluxe rooms and above all have coastline vistas, and the Cottage has a large claw-foot spa tub perfectly placed for watching the sun set. Make an appointment for a spa treatment, and you get exclusive access to the cozy terracotta-tiled spa. 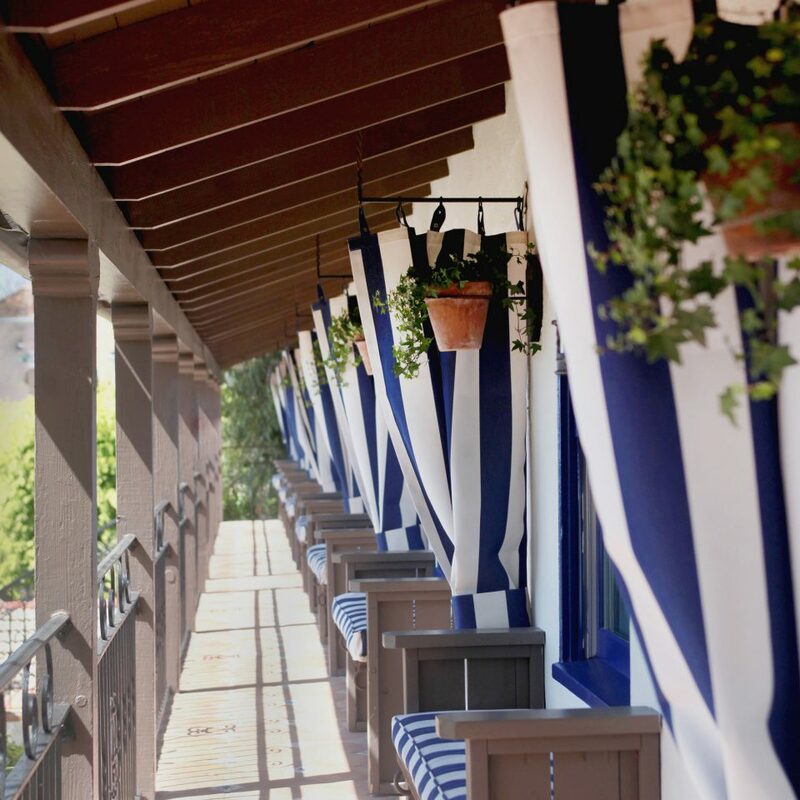 Or, schedule your deep tissue massage for the terrace that sits a few levels above the small heated pool, and then end with some cucumber water or iced tea on tap on the pool deck and a soak in the saltwater hot tub that’s reservation-only. 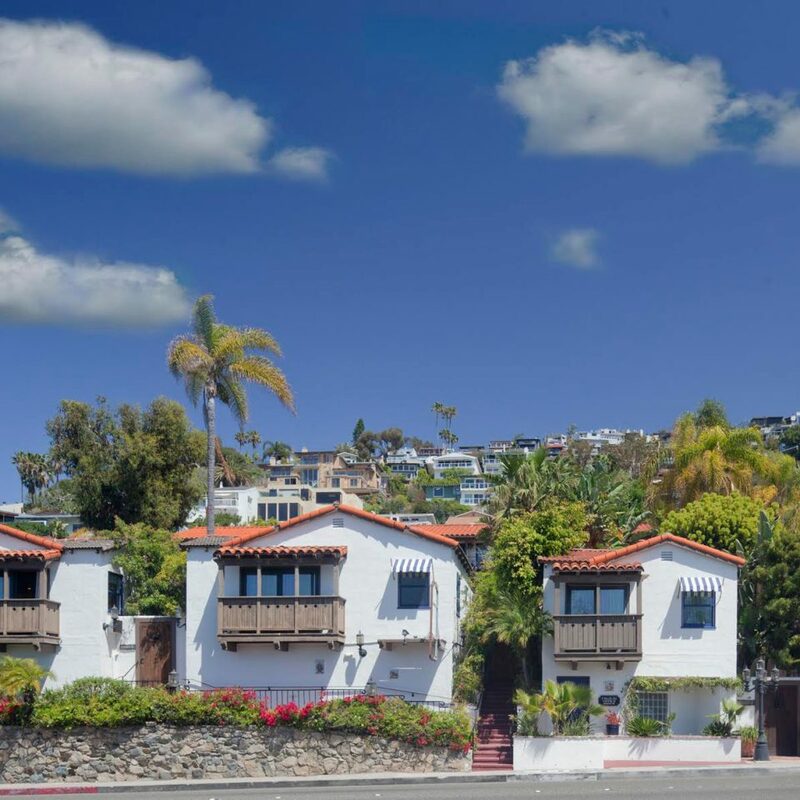 Beach-hopping is a way of life in Laguna Beach, which has some of Southern California’s best stretches of sand, starting up at Monument Point and Crescent Bay’s seal-bedecked island down to Treasure Island Park’s sweet seclusion. The area has plenty of perfect engagement photo shoot backdrops, but the ultimate is Victoria Street Beach with its Rapunzel-esque tower and rock jetties creating oceanic waterfalls. 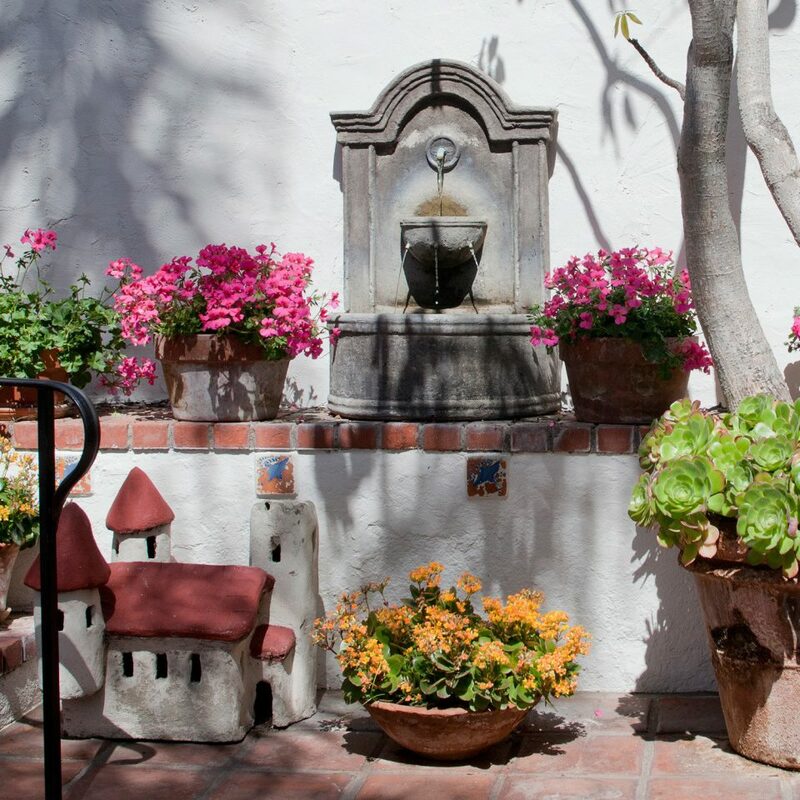 It’s a short walk from the inn, but the town’s other attractions require a car ride, like all of the art galleries and the Laguna Art Museum, worth a visit for its free West Coast-culled collection. My wife heard about this place from an instagram blogger and we are so glad we went. The place is small and quaint and the service is phenomenal. Our favorite time was breakfast outside. The chef even made some special items for us. Very fresh and tasty. The grounds are gorgeous. My only complaints are the parking stalls are super tight, the bathroom is tight (I’m 6’2”) and there is no fridge in the room. However the rooms are very well decorated. Road noise can be a bit much but it’s so beautiful you forget about it. 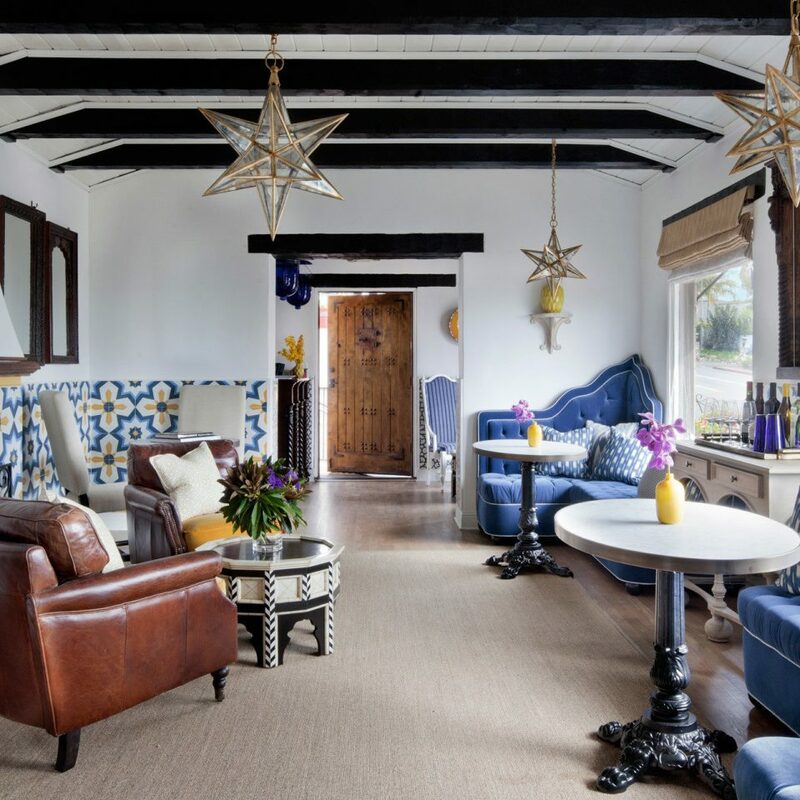 This quaint Spanish styled boutique hotel was exactly what me and my husband needed as a cozy get away after our wedding. The sun soak is a must see .. it's a beautiful bubble bath overlooking the ocean, and we were given a complimentary bottle of bubbly when they discovered we were newlyweds. The manager Zaman was the nicest guy, so knowledgeable about the property, the services, and the surrounding attractions. Every time we ran into him on the property he made sure we were had everything we needed and answered all our questions with a friendly smile. The house chef made delicious crepes for our complimentary breakfast, and were still talking about them. We went on a nice walk to Victoria Beach and spent the whole afternoon sun soaking and walking by the beach. Perfect getaway. We will be back .. and we're sad to go! This very unique hotel and spa is absolutely amazing. The breakfasts are to die for, and the customer service is out of this world!! 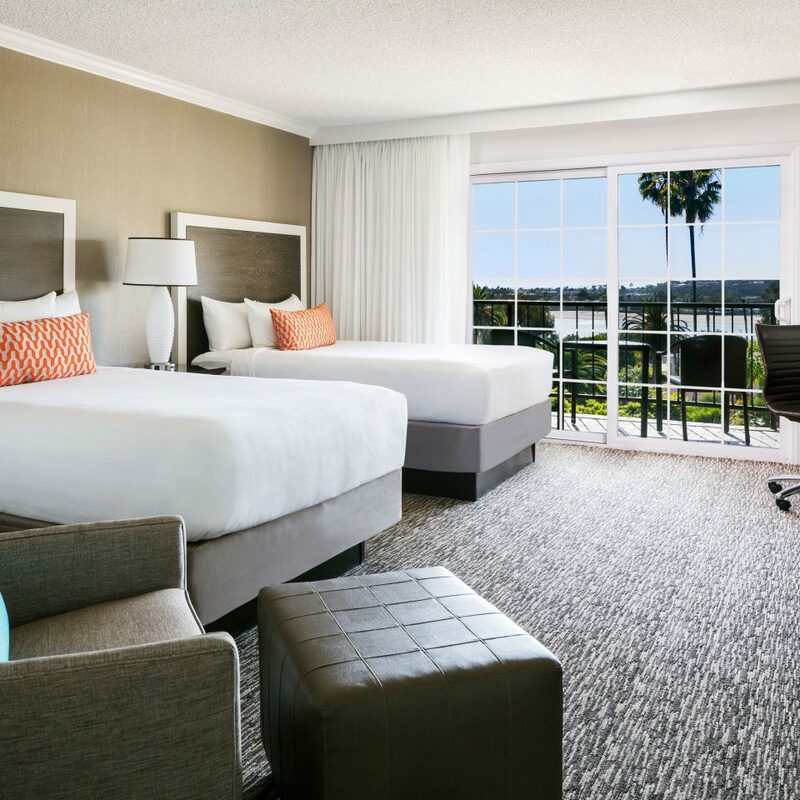 You couldn't ask for better accommodations anywhere. We didn't rent a car, but the Laguna trolley took us where we wanted to go at minimal cost. We will definitely be staying here again. We booked only 1 night at Casa Laguna and from the second we checked in, we wanted more. Unfortunately, it was the end of our trip, but after five minutes of being in our room and staring at the ocean view, we wished we could have gone back in time and spent it at Casa Laguna instead! It really is as gorgeous as the pictures on their website, in fact, I’d even go so far to say that they don’t do the place justice. 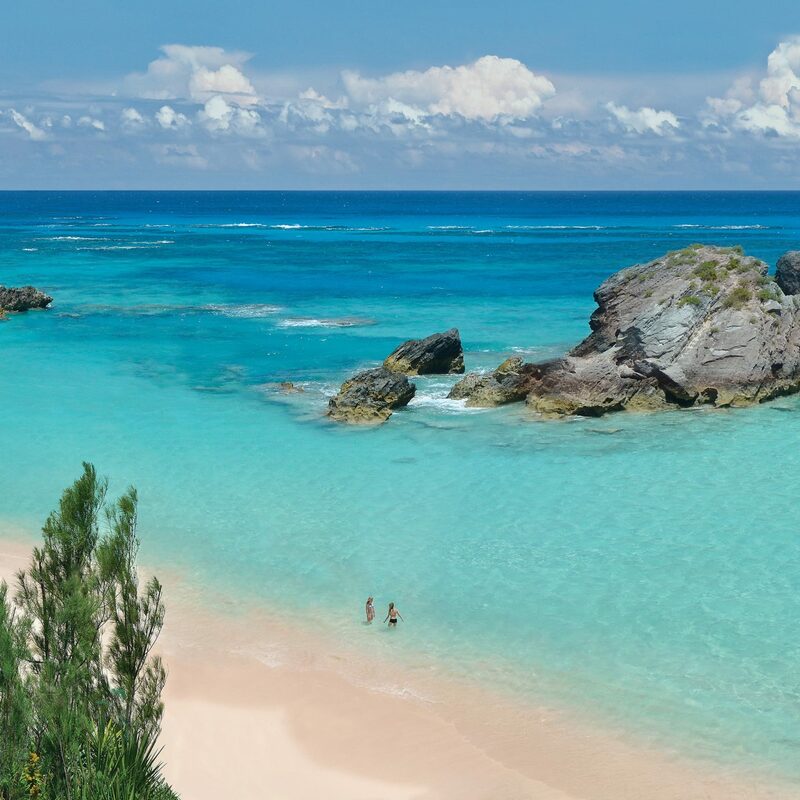 Tranquil, idyllic, tropical, beautiful, amazing.... all of these adjectives apply, trust me. We were upgraded to a deluxe ocean view by Jessica, something which has never happened in all my years of traveling, so we were pleased as punch, needless to say. We just lay on the bed and watched the waves, a truly romantic and magical experience for two desert dwellers such as ourselves. There are so many little nooks and turns and hidden areas among the walkways of this ‘castle’ that I don’t think we even made a dent in experiencing it all. The pool is beautifully kept and looked very inviting. They offer fresh orange and lemon water, as well as after sun lotion and sun lotion for all your sunbathing needs. The bed was very soft and relaxing. And we loved the rain shower in the bath room. My only caveat was that we wished there was a small fridge for cold water, but c’est las vie. They offer snacking plates and small servings of different things for room service. They offer wine, water and snacks from Dean & De Luca in the rooms. The breakfast in the morning was delicious, complete with granola and chia seed pudding. Homemade banana bread and fresh baked croissants. The cheese omelette and bacon I had was delectable. The chef serving us was very helpful and friendly and you could tell he took pride in what he was doing. In fact, all of the staff appeared that way and it was lovely. We spent the week at Disneyland and it was nice to unwind in such a relaxing atmosphere (with no children!). 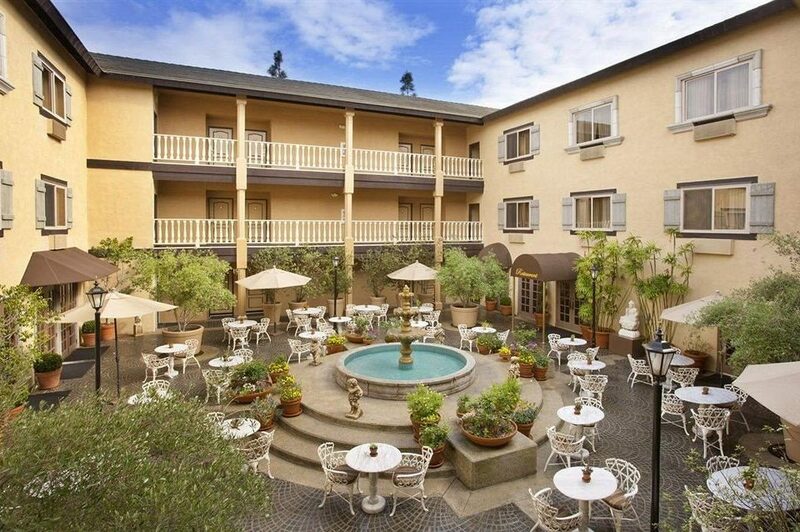 The hotel is easily within walking distance to the beach and the little town area with shops and restaurants. The parking is a bit of a pain and next time we go we are definitely renting a smaller car. We came back from dinner and had quite a time getting our vehicle into the tight parking space. But that can’t be helped and is definitely not something the hotel can exactly change, but do keep it in mind if your’re driving a larger class car or truck. This was our first visit to Laguna and won’t be our last; we definitely fell in love with the place as well as Casa Laguna, I can’t imagine wanting to stay anywhere else! Casa Laguna's charming and stunning grounds make for a wonderful getaway, its location is unparalleled. 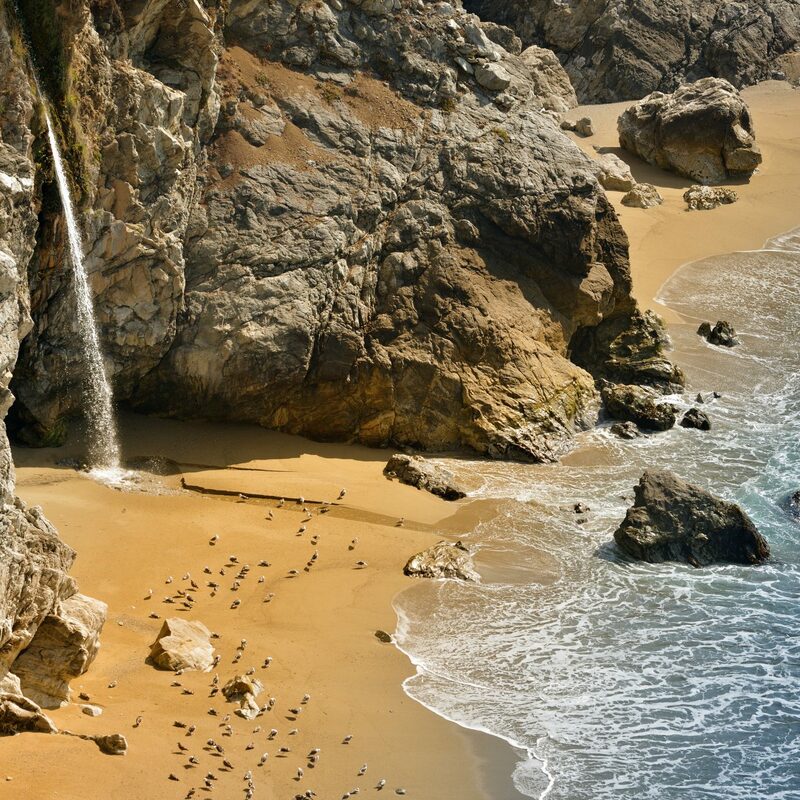 Friendly and attentive staff put you at ease in California's Laguna Beach. The intimate lobby/lounge is always clean, serene and relaxing. 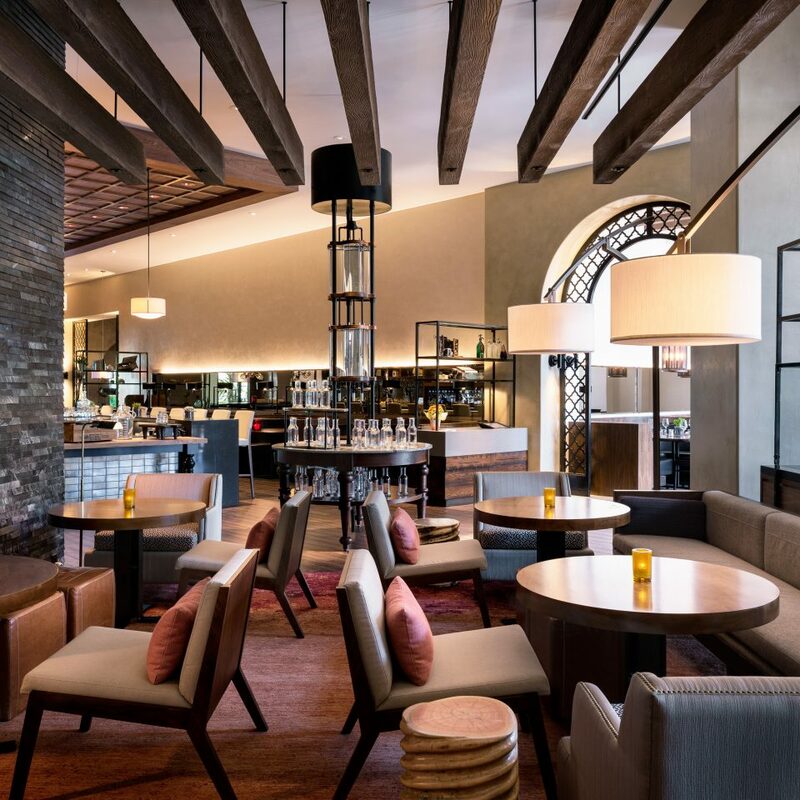 The carefully designed interior of not only the entire hotel. 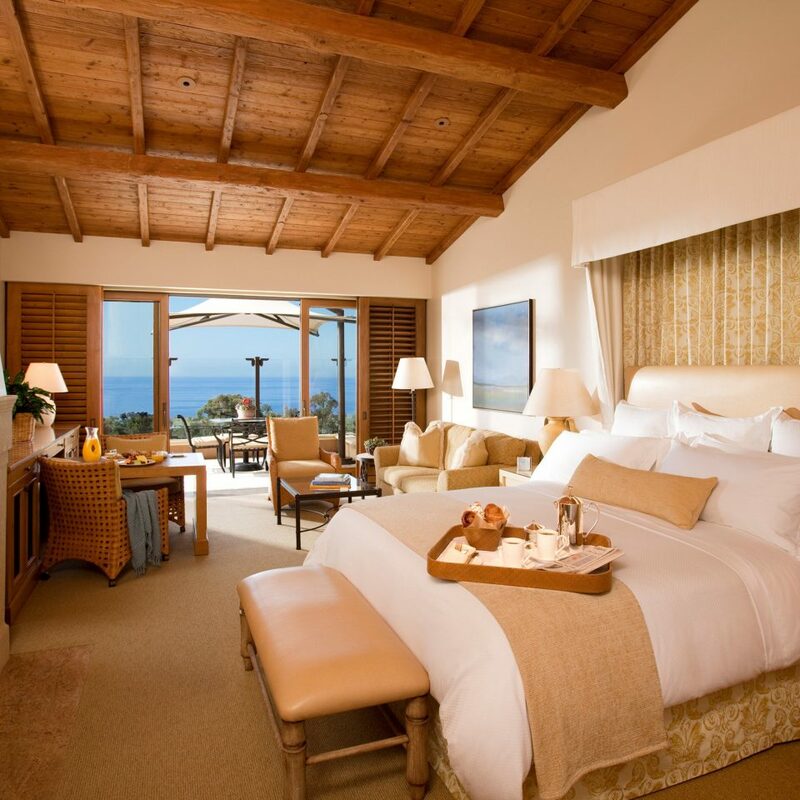 but the individual rooms is breathtaking. 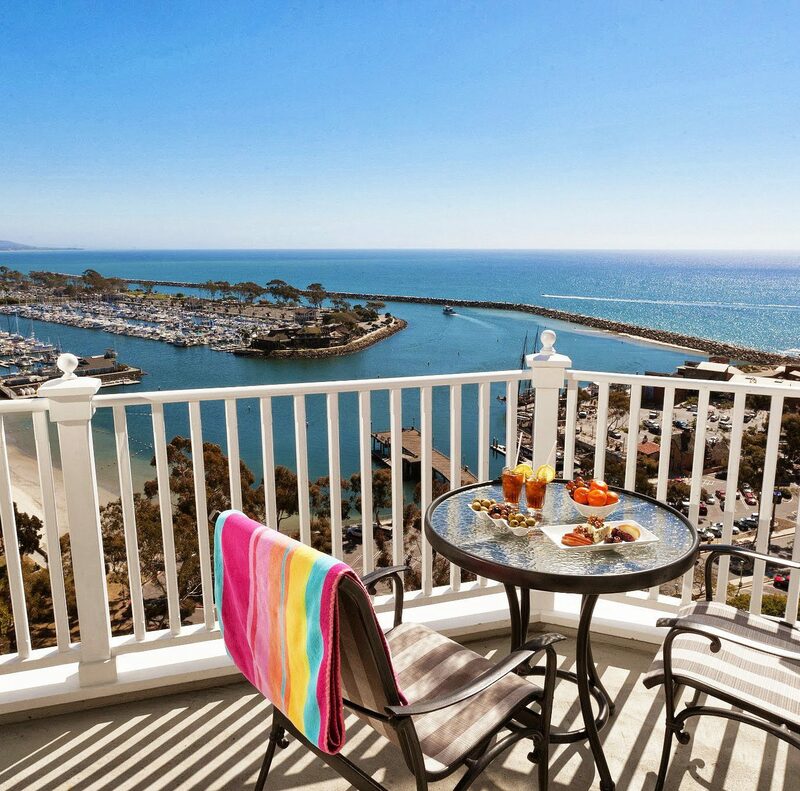 Each room peppered with scenic California glamour photographs that give the Moroccan-styled rooms a Southern California flair. I look forward to each time I walk through Casa Laguna's front door. Casa Laguna is a leading exemplar of excellent customer service, gorgeous aesthetics, and the feeling of a home away from home.